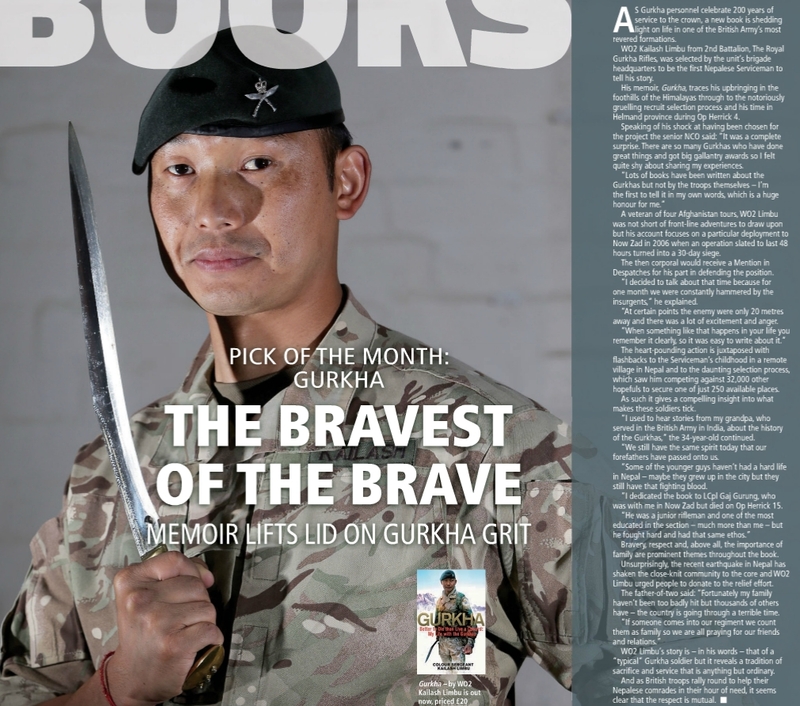 WO2 Kailash Limbu from Second Battalion The Royal Gurkha Rifles, was selected by the brigade headquarters to be the first serving Gurkha Soldier to tell his story. His autobiography tells the inside story of the 2006 siege of Now Zad, in Helmand Province, Afghanistan. In the summer of 2006, then aged only 24, W02 Limbu was a section leader in a platoon sent to help secure a police compound in the district centre of Now Zad. He was told to prepare for a forty-eight hour operation. In the end, he and his men were under siege for thirty-one days – one of the longest such sieges in the whole of the Afghan campaign. Kailash Limbu recalls the terrifying and exciting details of those thirty-one days – in which they killed an estimated one hundred Taliban fighters – and intersperses them with the story of his own life as a villager from the Himalayas. He grew up in a place without roads or electricity and didn’t see a car until he was fifteen. Kailash’s descriptions of Gurkha training and rituals – including how to use the lethal Kukri knife – are eye-opening and fascinating. They combine with the story of his time in Helmand to create a unique account of one man’s life as a Gurkha. I was completely bowled over by Kailash’s book and read it with a beating heart and dry mouth. I felt as though I was at his side, hearing the shells and bullets, enjoying the jokes and listening in the scary dead of night. The skill with which he has included his childhood and training is immense, always discovered with ease in the narrative: it actually felt as though I was watching, was IN a film with him. It brought me nearer than I have ever been not only to the mind of the universal soldier but to a hill boy of Nepal and a hugely impressive Gurkha. I raced through it and couldn’t put it down: it reads like a thriller. If you want to know anything about the Gurkhas, read this book, and be prepared for a thrilling and dangerous trip. 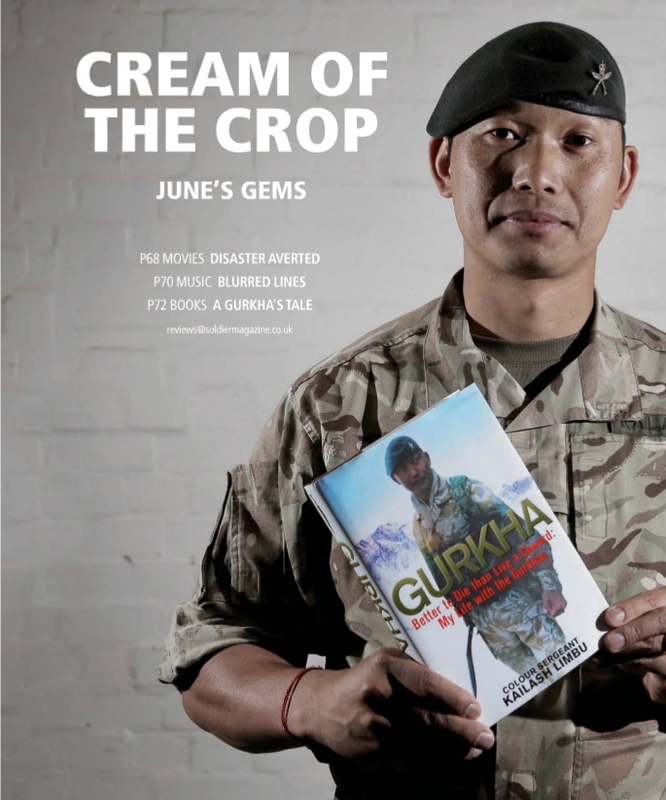 Becky Clark interviews WO2 Kailash which has been produced on page 72-73 June 15 edition of Soldier Magazine. Click on the photo below to view the article. An article on the Daily Telegraph dated 4 June 15 also covers a short summary of his book. The book is now available to purchase from Amazon and ebay.